For the bride with exquisite taste, this stunning calla lily bouquet in a Nambe Crystal bowl will show her that she is worth nothing but the best. 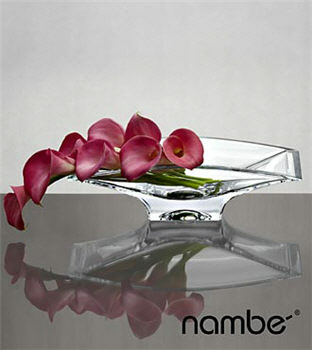 Eight stems of dark pink mini calla lilies are expertly arranged in a Nambe Crystal Decorative Bowl, created by award-winning designer Karim Rashid. Keeping with the philosophy that “less is more,” this stunning arrangement places the calla lilies delicately on the bowl, with their simple petals draped in a dramatic contrast against the soft lines and clean edges of the bowl. If one bouquet is good, then two bouquets are better. 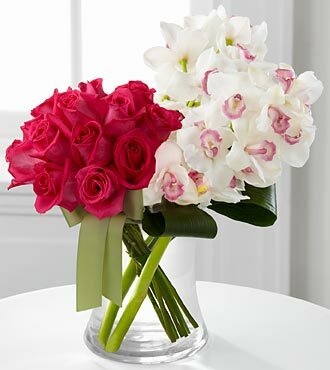 Treat your wife to this beautiful arrangement that features a stunning juxtaposition of vibrant fuchsia roses and crisp white cymbidium orchids. This spectacular arrangement features 12 stems of 20-inch fuchsia roses, alongside 2 stems of white cymbidium orchids, lush greens, all arranged in a clear vase. Give your lovely wife a bouquet to keep at home, and take to the office. If you want to give your wife something that will last a bit longer, a potted plant is a great way to go. This beautiful lavender plant is not only gorgeous, it offers the soothing and relaxing fragrance of lavender that many seek out in aromatherapy and bath and body products. 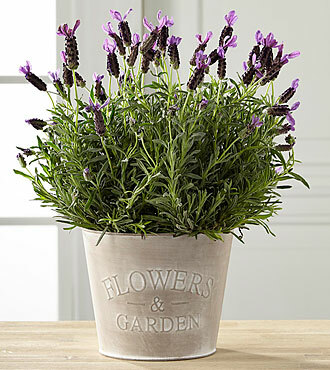 With soft purple blooms against lush green foliage, this lovely plant will come in a matching lavender wrap. Perfect for the woman who loves the color purple. If you want to make your anniversary extra special, consider accompanying the bouquet of your choosing with other delicious treats, such as this gift combination of Warres Otima tawny port and Godiva chocolates. This 10-year old tawny port is paired beautifully with the assortment of Godiva milk, white and dark chocolates. No matter what you choose, imagine the delighted look on your wife’s face when she receives such an outstanding display of your love and affection for her.